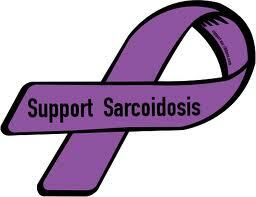 Sarcoidosis And Me is a Canadian support and reference site. Our mission is to provide support to those affected by this disease, increase awareness of Sarcoidosis, and help with research throughout Canada. Melany Sealy, Founder, is a Sarcoidosis patient since 2005. When researching this disease, she discovered a lack of information and support for Canadian Sarcoidosis patients. With this in mind, she created the National Sarcoidosis Organization (N.S.O.) in 2012. One of her personal goals is to have April proclaimed as Sarcoidosis Awareness Month across Canada. With assistance from her medical specialists, and newly recruited board members, Cheryl Gould and Dawn Smith, also Sarcoidosis patients, the goals began to come together by the end of 2012. Walk-a-thons were held in 2012 and 2013 with great participation. The N.S.O. has also held their first Annual Swing Fore Sarcoidosis Golf Tournament in 2015 which was a huge success. In late 2012, the N.S.O. Board was approached by the Weisgerber family who had recently lost a member to complications of sarcoidosis. The families had successfully run two charity golf tournaments to raise funds for sarcoidosis awareness. Working with the N.S.O., starting in 2013,their raised funds were donated to the N.S.O., ensuring that the money stayed in Canada and donations could be receipted by a Canadian charity. To date, the N.S.O. has donated over $50,000.00 to various research projects and clinical trials in Canada and has held successful events to promote awareness. Let us know what you would like to see more of in the form of support and we will do our best to help. What Do You Want To See In Canada For Sarcoidosis?